I mentioned in my review of the second installment of this epic trilogy, The Two Towers, my belief that I am in the minority by feeling that the film was the strongest of the three. 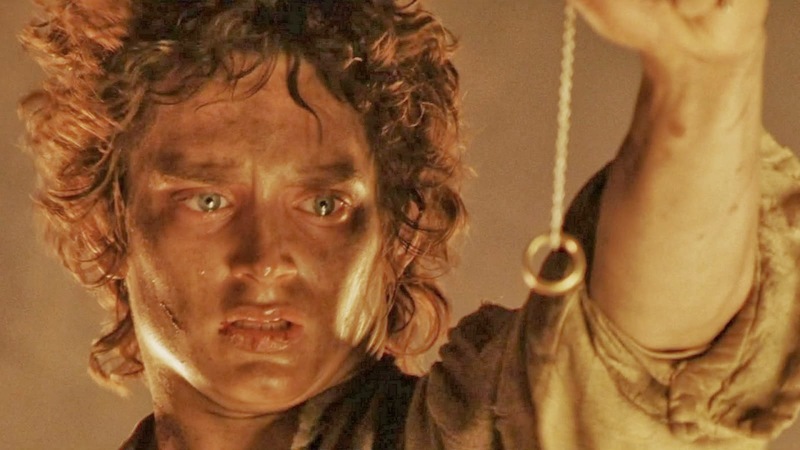 I often find that the final chapter, The Lord of the Rings: The Return of the King is the most beloved single work of the group, which makes it all the more troubling that I actually rank it at the bottom. Don't misunderstand this thought by assuming this is a negative review. In fact, it is a rather glowing and positive one, and for much of the film I love it on the same level as the rest of the trilogy. The sweeping nature of the storytelling, the massive scope, the epic battle sequences, and some of the scenes striving for emotional resonance absolutely hit their marks. My issue with it comes with the pacing near the conclusion, the desire of Peter Jackson (and possibly the source material, I must admit I have never read the books) to NEVER WANT TO END. I am all of satisfying, positive endings, but my goodness, every single time I think alright, this must be the final shot...here comes more. After nearly three hours of glorious cinema, you wouldn't think the final twenty or so minutes would be that detrimental to the experience, and really they aren't. This is still an absolutely fantastic film to finish off one of the finest trilogies I have ever seen. I just notice a sour taste in my mouth when for the first time after over roughly nine plus hours of Middle Earth, I find myself looking at the clock and drifting a bit instead of focusing on the film itself. The Return of the King is the specific reminder of why I embrace the theatrical cuts rather than the extended versions. I am already complaining about pacing, I can't imagine the desire to add more to this final film. Oh, and the joyous scene where Frodo is reunited with everyone as Gandalf stands at the foot of the bed laughing? Still creepy.